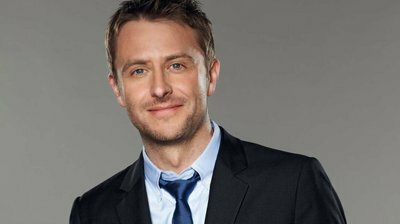 Chris Hardwick Will Return To AMC! Talk-show host Chris Hardwick, who has been widely accepted as the unnamed man described in a June 14th Medium post by Chloe Dykstra alleging emotional and sexual abuse by an ex, will return to work at AMC. Hardwick is the face of TALKING DEAD, a live after show that discusses episodes of THE WALKING DEAD and its prequel FEAR THE WALKING DEAD, as well as Talking With Chris Hardwick, a general pop culture talk show. AMC says it conducted a “comprehensive assessment” with an outside law firm that included interviews with “numerous” individuals before making its decision. “We believe returning Chris to work is the appropriate step,” said the network, in a statement that did not directly address or even explicitly mention Dykstra’s accusations. Hardwick, for his part, responded soon after Dykstra’s post that he was “devastated” and “blindsided” by her depiction of their relationship and denied her allegation of sexual assault. The next season of TALKING DEAD begins August 12th, following the season premiere of FEAR THE WALKING DEAD.